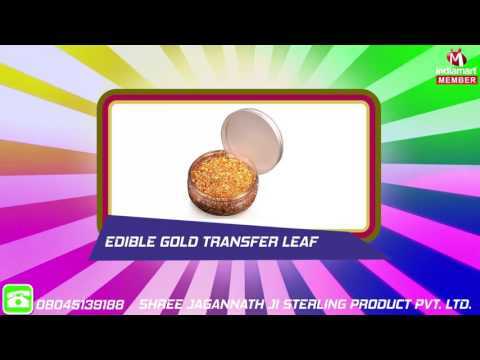 Established in the year 2009, Shree Jagannath Ji Sterling Product Private Limited is a profound manufacturer and exporter of Gold Leaf. Our product range includes Edible Gold Product, Gold Flakes and Gold Leaf. Given range is known for their majestic comfort, high-quality flawless finish and competitive prices. We design this leaf utilizing superior quality raw material and modern technology as per the set industry standards and norms. We provide easy payment modes, prompt delivery and aggressive price which keep us moving ahead in this period of severe market competition. We have gained a huge recognition among all other market counterparts and this is the outcome of our constant attempts to obtain market credibility.